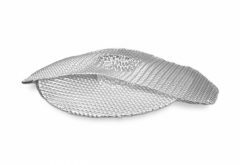 New hernia mesh lawsuits blame Atrium C-QUR, Ethicon Physiomesh and various models of Bard Davol polypropylene hernia mesh for serious complications. People with injuries have filed more than 4,700 lawsuits. Previous lawsuits resulted in a $1.5 million verdict and a $184 million settlement. As of April 2019, there were 4,705 lawsuits pending in multidistrict litigations (MDLs). The federal lawsuits target three hernia mesh manufacturers. One MDL involves Ethicon’s Physiomesh Flexible Composite mesh. A second one targets Atrium C-QUR products. And the third includes different versions of Bard Davol’s line of polypropylene products. As of April 2019, there were 1,912 lawsuits pending over Ethicon’s Physiomesh Flexible Composite hernia mesh. Those lawsuits were in the Georgia Northern District Court. The Judicial Panel on Multidistrict Litigation established the MDL in June 2017. 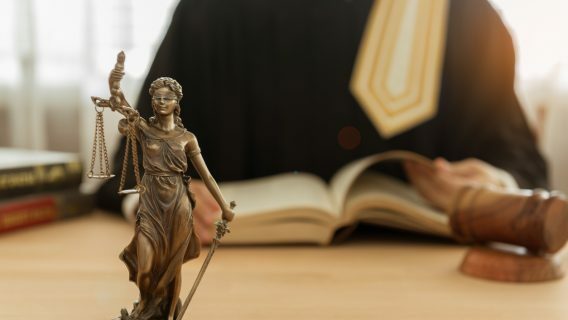 A total of 1,217 Atrium C-QUR mesh lawsuits were pending in New Hampshire District Court as of April 2019. The judicial panel established the consolidated litigation in December 2016. As of April 2019, there were 1,576 lawsuits over different brands of Bard Davol’s polypropylene products pending. The MDL panel established the litigation on Aug. 2, 2018. The first Ethicon Physiomesh trial is expected to happen in late 2019 or in 2020. The first Atrium C-QUR trial is scheduled for Feb. 19, 2020. The Bard Davol MDL is in its earliest stages. No trial dates in that MDL have been set. Additional cases are pending in state courts. In August 2018, the New Jersey Supreme Court consolidated 62 Physiomesh lawsuits in state court into a multicounty litigation in Atlantic County. People are also filing individual lawsuits against the manufacturer Covidien over its Parietex mesh. People who filed lawsuits suffered complications so severe they needed at least one additional surgery to fix their problems. Some required more. And many people claim their complications continued after attempts to repair their problems. Scientific studies have questioned the effectiveness of some mesh products, and companies have pulled products off the market after high failure rates were reported. The U.S. Food and Drug Administration has even sent a warning to at least one company over its manufacturing and quality control process at a manufacturing plant. The FDA says many of the reports it’s received regarding complications are associated with recalled mesh. The brands named in the current MDLs all contain polypropylene. Products made of this material can sometimes shrink, break or erode. If this happens, it can cause organ damage and other complications. Some people who filed C-QUR hernia mesh lawsuits also claim additional injuries. Atrium derives C-QUR’s coating from fish oil. Some patients claim it led to “allergic or inflammatory” responses that caused further complications. Lillian Graham underwent a hernia repair with Physiomesh at Memorial Hospital in Jacksonville, Florida. She developed complications so severe she needed surgery to remove the Physiomesh. The doctor had to surgically remove the mesh. Graham underwent further surgery about five months later to repair adhesions to her bowel. In February 2016, Michael Miller received two Bard Davol 3DMax meshes during a hernia repair in Saratoga Springs, New York. His hernia came back less than a month later, and he needed another surgery. This time, a surgeon used a Bard Davol PerFix Plug. Miller’s lawsuit claimed that he continued to suffer pain and recurring hernias in the months following revision surgery. He could not eat without pain or bloating. And, the lawsuit said, he developed “sexual difficulty” after the surgery. James D. Brown underwent hernia repair with Atrium’s C-QUR mesh in December 2013. But he continued to suffer abdominal pain. In January 2016, Brown had the material removed. A pathology report found tissue in the mesh. The report also noted foreign-body giant cell reaction. This is the result of the body’s defense system reacting to a foreign object. There were also signs of thickening and scaring of connective tissue around the material. Brown’s lawsuit claimed he continued to suffer pain following the mesh removal. People who have mesh removed should make arrangements to preserve it in case they later decide to file a lawsuit. Preserving mesh and other medical devices can be crucial to winning a lawsuit. It can provide evidence only available through examination of the product. In May 2018, a court order set rules for preserving Physiomesh as evidence in lawsuits. Judge Richard Story’s order created step-by-step rules to store and preserve the material. The order outlined instructions in four stages. Patients must tell their surgeons to preserve the product and tissue removed in surgery. They must also tell the hospital to ship the materials to Steelgate Inc. in Florida. Patients’ lawyers will coordinate shipping. Steelgate will preserve and store all samples. Both sides of the lawsuits will split the monthly storage fees. Lawyers for both sides may inspect the samples. They have to give notice before performing any tests. The other side can be present during these examinations. No tests may destroy any of the samples. Hospitals may preserve slides or paraffin blocks of removed materials. If a hospital turns these over, both sides may examine them. If the hospital refuses, each side may ask Steelgate to create slides and blocks. Both sides will have access to all these samples. Lawsuits over Bard Davol’s Kugel Patch formed an earlier MDL. It ended in a $184 million settlement in 2011. Bard first recalled the patch in 2005. The company said it could cause bowel perforations and fistulas. The first lawsuits followed soon after. In 2007, a federal panel combined the first 150 Kugel Patch lawsuits into an MDL in a Rhode Island federal court. Eventually, plaintiffs filed over 3,000 cases against C.R. Bard Inc. There were two bellwether trials in 2010. Bard won the first, but a jury awarded $1.5 million to the plaintiffs in the second trial. In the second trial, jurors heard the case of Christopher and Laure Thorpe of North Carolina. Christopher Thorpe underwent hernia repair with a Kugel Patch in 2005. Between 2007 and 2008, he underwent multiple surgeries to remove infection and a fistula resulting from the repair. Following the verdict for the Thorpes, Bard offered to pay $184 million to settle the remaining 2,600 Kugel Patch lawsuits. In September 2017, the Kugel Patch MDL was finally closed after 10 years of litigation.